I'm not sure if I've mentioned it much on my blog before but I'm a 'bikers wife' a biker who today has stepped it up a few gears and has passed his bike test and got himself a full bike licence, meaning a bigger engine and bike size to what he usually rides. He's well known for his monkey bikes hence his monkey boi nickname. I can't follow in a car with him on his bike as it makes me feel physically sick to watch just in case something awful was to happen, He pops out somewhere and if I don't hear from him when he should have reached his destination every worst case scenario has gone through my mind and I'm watching for that call. It must be like living with his mum all over again as the rules get laid no being silly, no showing off, no wheelies and whatever is possible to do on a bike. 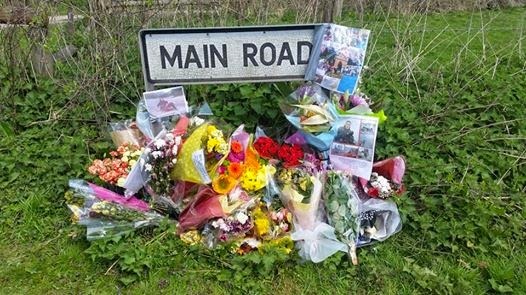 You hope that being a biker for years means your that little bit safer if not safe as safe can be and sadly it doesn't very recently a friend of Andy's was killed on his motorbike, A car done a right turn in a no right turn road which cost Andy's friend his life! A man that has been a biker for many many years, always wore his leathers and very well known within the bike community. This mans life has been taken to save someone a few minutes on their journey now I know this person has no doubt done that no right turn when he/she wasn't supposed to many times, thought nothing of doing it again to cut some time from their journey and didn't intend to take anyone's life but by doing just that when the signs are very clear it cost a man his life. 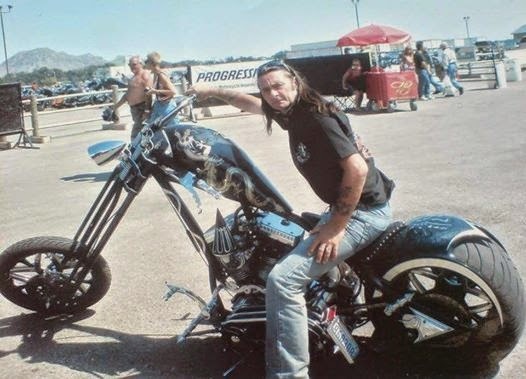 Now I know I'm a bikers wife but I'm not about to point blame at all car drivers as I know their are many bikers that drive like total d*cks and simply drive like idiots showing off not only putting themselves at risk but others to but Al wasn't one of those guys and has been taken away far to soon! 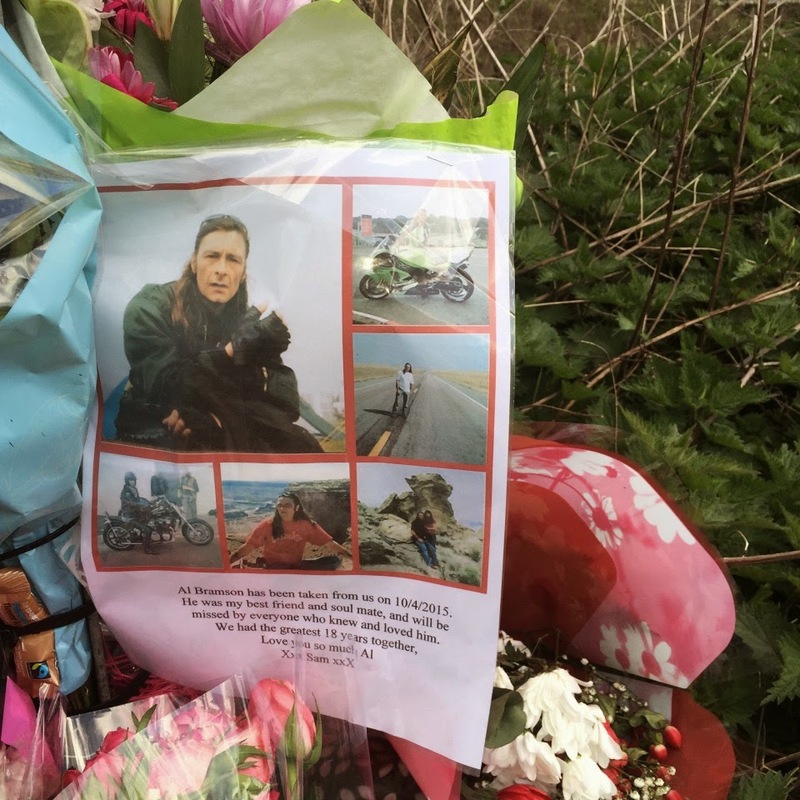 It seems all I've read lately is motorbike accidents and it's setting in even more anxiety knowing Andy has now gone to a 4OO from a 14O engine and a considerably bigger bike, I know his a big boy and his been a rider for years now but as I said above it doesn't make him safe from other peoples actions on the road. I never had the pleasure of meeting Al but I've heard many great things about him, I can't even begin to imagine the pain his lady feels I see the hurt behind Andy's eyes when he heard the news and the news of his funeral possibly being held on his best friends birthday another friend of Andy's who is no longer with us.